The High Straight is a wardrobe staple, modelled on a vintage straight fit. 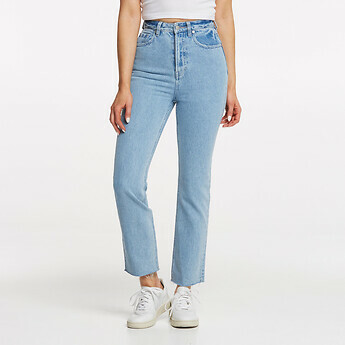 Worn high waisted, with a super high rise, they are a straight leg profile from the thigh to a cropped hem. Finished in a light bleach wash denim.